These at-home techniques will take your style game to the next level. Do you have more man skills than your dad? A recent survey of over a 1,000 men nationwide revealed something interesting about how Baby Boomers and Millennials differ: It showed Baby Boomers beating Millennials by wide margins in certain “must have” skills. But there are some exceptions: when it comes to matters of starting fires (?) and grooming, Millennials have an edge. Does this mean guys today are vain? Or does it show how the rapid evolution of technology, economics, and culture has shifted our focus to different skills? It’s noteworthy that the survey didn’t ask about building a website, starting a business, or crafting a unique personal style – areas where we’ve got our dads beat easily. We’re in the middle of a DIY revolution. Guys of our generation are using the internet to acquire skills both new and old, and it’s redefining style as well. Style isn’t just about clothing any more. Style is about the skills you use to achieve a synthesis of form and function in your everyday life that transmits confidence and capability. With that in mind, here’s a list of 5 easy-to-master skills that will keep you looking sharp and grow your personal DIY portfolio. Having a well-maintained haircut is square one for the stylish man. So how many guys do you know who cut their own hair? 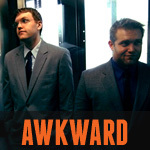 Chances are, you’re either one of them or you know someone who does. 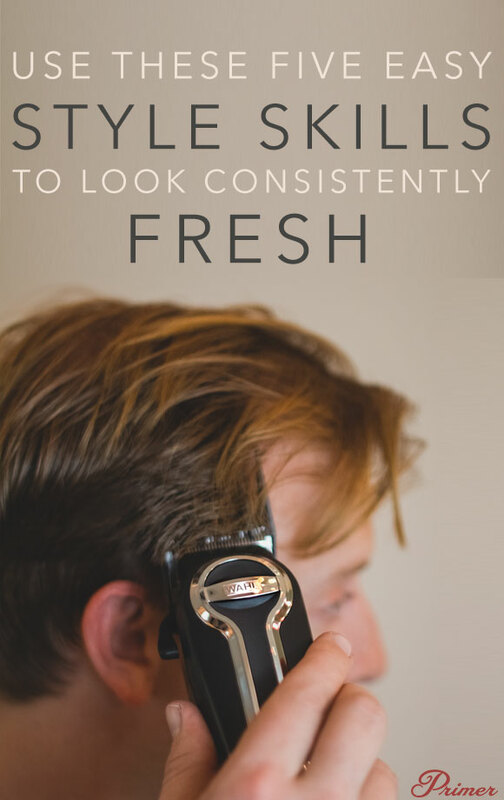 Research by Wahl, makers of grooming tools for guys, reveals 35% of guys surveyed know how to cut their own hair and 70% said they’d given themselves a cut or trim in the last month. There are a lot of reasons to pick up this skill, chief among them having the ability to clean up your ‘do in between professional cuts. You know the fresh confidence you have when you get a haircut? Learn how to give yourself a cut, trim, or clean-up and you can have that every week. If you’re ready to take the plunge, consider the Wahl Elite Pro Clipper Kit. 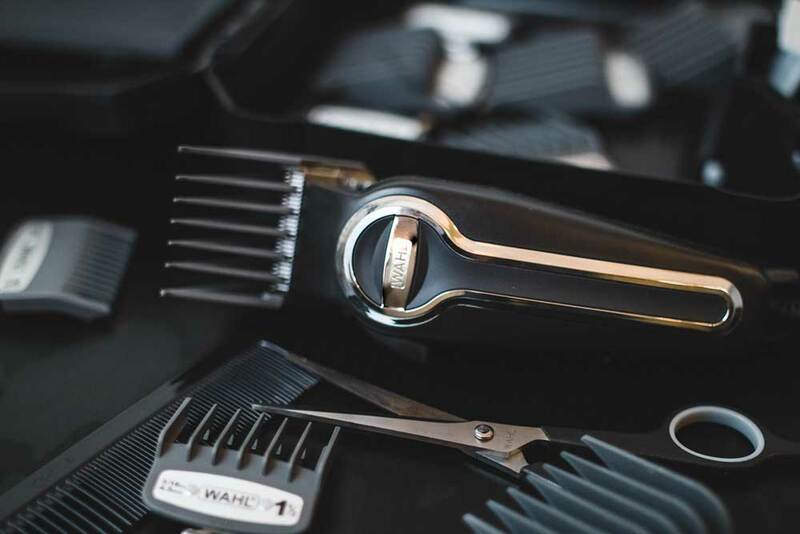 The clipper has a suite of technical features that you won’t find on previous generations of clippers, including self-sharpening blades, Wahl’s most premium motor, and stainless steel guide combs. And since this is a kit, bundled with the clipper are scissors, styling & guide combs, blade oil, cleaning brush, and even a barber’s cape. Coming in under $50, it’s a bulletproof good buy. The biggest hurdle to cutting your own hair, of course, is knowledge. What if you screw it up? What if you accidentally give yourself a zig-zag mohawk? Internet DIY culture has you covered. Check out Youtube or Wahl’s own thorough self-haircut videos to get started. 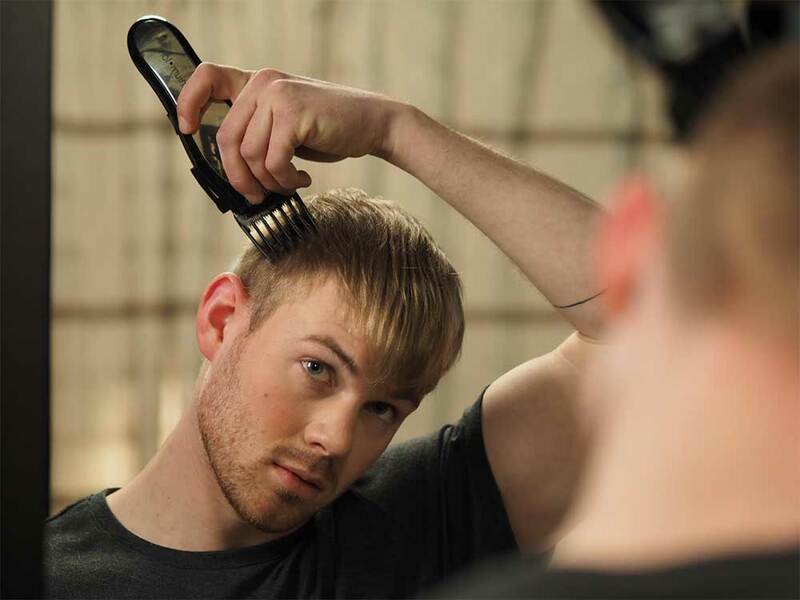 Begin by giving yourself a clean-up before progressing to a trim and full-on haircut. We all have that favorite sweater ruined by bleach stains, or the old, faded jeans that are increasingly socially unacceptable but so damn comfortable. Instead of tossing your favorite pieces when they’ve become faded (often from improper care, see below), bring them back into heavy rotation by dyeing them to restore rich, non-hobo-like color. Learning to dye your own clothes isn’t just about saving money – it’s about ensuring favorite pieces that give you maximum confidence can stick around for years longer than you thought. You don’t need to buy a new version just because the well-fitting one you have lost a little color. 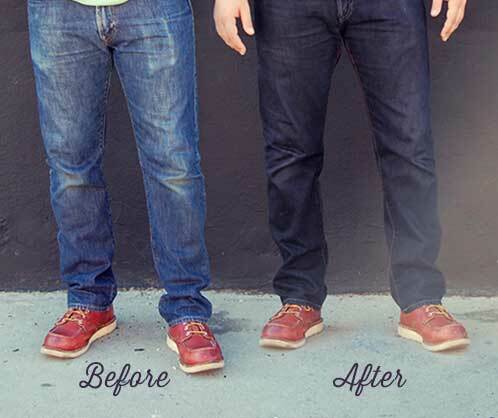 Primer has covered how to restore a pair of nearly-dead jeans using industry-standard Rit dyes. 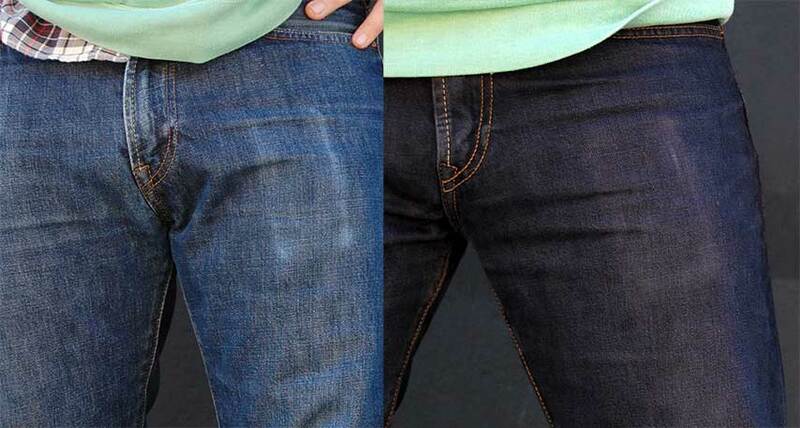 For slightly more than the cost of a cup of coffee, you can restore or modify faded clothing to deep color. One tip we recommend: pick a shade of dye darker than your desired outcome – denim, for example, will benefit from a black dye instead of navy blue to give it that rich dark blue color. Wrinkles are a non-starter if you want a polished, intentional style. The problem is, who wants to use an iron? Irons are like carbureted cars: they’re old and have their place but they’re not something you want to deal with every day. Hop on Amazon, order the highly-reviewed Pure Steam steamer (that’s also Primer Approved) and welcome yourself into the 21st century. Steamers have long been a fixture at fashion shows and on film sets for a good reason: they’re fast, tidy, and work great. They use the same principle as an iron (i.e., steam) to relax wrinkles but with virtually none of the drawbacks: no down-side creases, no piping hot metal, no ironing board, very little start up time. 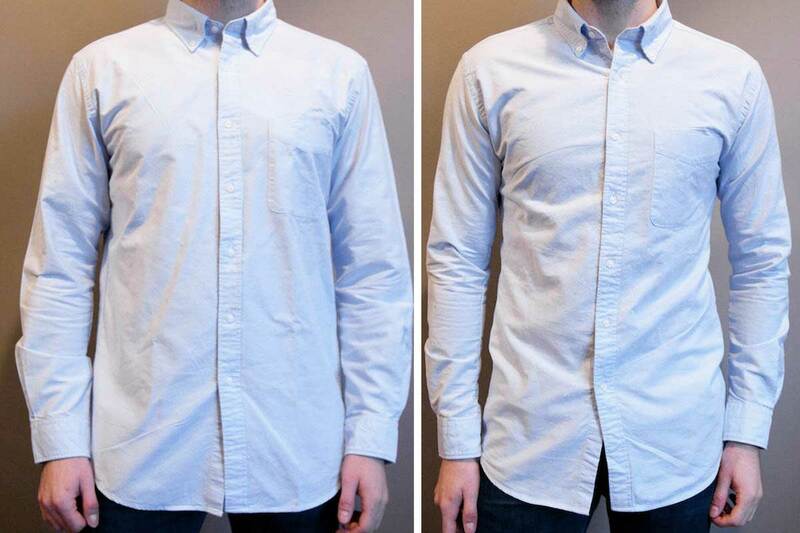 What’s more, today’s higher end steamers incorporate controls that allow you modulate steam for thinner garments, like a tailored dress shirt, or thicker pieces like chinos. Beyond that, improper heat settings or techniques with your iron can actually ruin your clothing in a way a steamer never will. Ever end up with a shiny shirt after ironing it? Steamers won't do that. How many times have you not worn a shirt or pair of pants because it came off the hanger wrinkled? Be a modern man. Get a steamer. When did sewing become un-manly? It’s certainly not for a good reason. Soldiers throughout history have mended their own clothes on the battlefield, and the likes of George Clooney and countless male fashion icons have been known to alter, fix, and create their own clothes. Add to that the sometimes steep cost of alterations and unreliable tailors (often amateurs themselves), and the case is strong: learn how to alter your own clothes the way you like them. 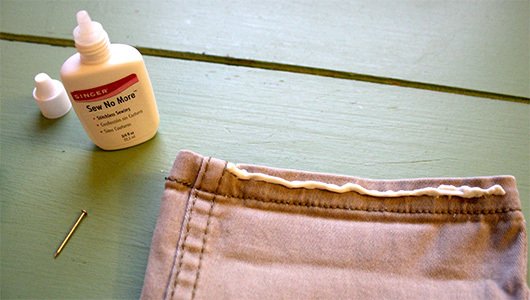 Hemming pants is a good place to start. Especially if you’re a shorter guy who has to alter most of his pants, the dreaded “tailor tax” of $10-20 can ruin a savvy purchase. Check out Primer’s no-sew guide to altering pants, and then progress to one of the most useful alterations in the history of civilized clothing: taking in a shirt that you want to fit slimmer. Flex your googling skills and the sky’s the limit as far as alterations are concerned. Knowing how to do a few simple alterations doesn’t just improve your style, it makes it more self-sufficient. Look, we get it – you're short on time. You can't be bothered to take your hamper with 2 weeks 5 weeks worth of dirty clothes and separate by color, material, heat setting, and country of origin (just kidding). But you really, really need to. It goes without saying that if you're going to drop hard earned money on some nice wardrobe items, you should take the time to care for them so they have the longest life. But it's even more true if you're a man on a budget buying smart-looking options from budget retailers where issues like shrinking, pilling, and fading increase with every wash and wear. Check out Primer's full guide of 10 Things An Adult Should Know About Doing Laundry (But Probably Doesn't). Like colors with like colors: And, like, actually like colors. Mixing colors causes faster fading or worse, bleeding. We all know the cliche of the red sock falling into the load of white socks, but that's just an extreme. Imagine that happening to a lesser degree, say 5-10%, every time you mix a few items that are “close enough”. You only have to wash them a few times before you've significantly shortened the useful life of them. 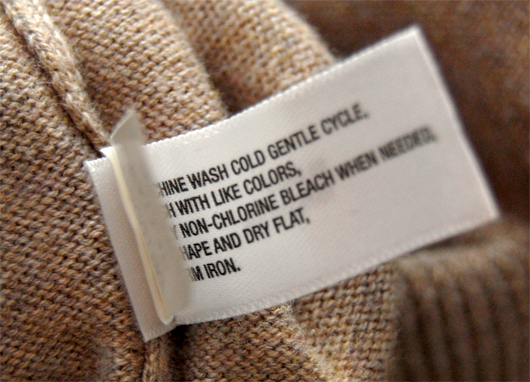 Anything you don't want to shrink or with colors you want to keep: Wash on cold. Everything else – warm. Unless you have a washing machine that allows you to dial in the temperature, which you likely don't if you live in an apartment building, you have no idea how hot, “hot” really is. And let's get real, it's not the heat that's cleaning your skivvies, it's the soap and water. The only exception is loads of complete white that you're not worried about shrinking, meaning only white towels. A modern, well-dressed man is also a self-sustaining – do you have a style hack or trick that you use? Share it with us in the comments! Special thanks to Wahl for making this post possible. Check out their full line of home hair cutting and grooming tools and their complete library of DIY videos. Learning how to care for my clothes has been a big thing for me. After going to college and spending money upgrading my style small things like blotting strains rather than rubbing them as well as learning the clothing symbols has really helped me out in maintaining my investment in my clothing. No you misunderstand, the Gen X’ers scored off the charts! Just kidding. 🙂 I think it’s because the difference between them and the other group was not likely as dramatic. For me, I’ll stick with going to the barber. Personally I like the experience. I go to an old school-style barbershop where they give you a beer while you wait and they finish with the hot shaving cream and straight razor on your neck. And the whole thing is only $20 with tip. Dying your clothes, now that is interesting. Have you tried it on anything other than jeans? I’m surprised cooking wasn’t on this list. I know there are a million great restaurants out there and I’ve eaten at my fair share of them but it’s also nice to cook at home, at least every once in a while. Highly recommend Wahl’s corded peanut for cleanup/detail/beard work. Very inexpensive and every barber has one (testament to quality). The only way to follow the advice relating to washing clothes is to buy a lot of clothes. Energy saving advice has always preached wash full loads. Doing smaller load in order to wash like clothes wastes water and energy. One would need extra clothes to have them while waiting for a full load. as a millennial, I am pretty ashamed of our generation. as evidenced by the list, the only item that increased between generations was hair care, which is almost exclusively a matter of vanity .